A publication design project for the Borges Center at the University of Pittsburgh. Reaching beyond pure exegeses of Borges’s writings, the journal aims to explore the special style of thinking, writing and reading in which Borges excelled. Fantastic ontologies, synchronic genealogies, utopian grammars, fictional geographies, multiple universal histories, logical bestiaries, ornithological syllogisms, narrative ethics, imaginary mathematics, theological thrillers, nostalgic geometries and invented remembrances converge to justify the epithet “Borgesian” for a special area of academic research, in which philosophy appears as perplexity, thought as conjecture, and poetry as the deepest form of rationality. The journal is produced inexpensibly in print, and as an ebook in the EPUB format since issue 31. I redesigned the journal interior and cover label in 2009 aiming to reflect back to this community’s their identity into the journal, making this object “something to gather about,” a material instance of a shared experience in scholarship. The choice of typeface became an essential component to the identity of the journal, and was embraced by the journals’ community with utmost pride. The design of the journal accomodates for articles published in a range of languages including Spanish, English, Portuguese, and French. In the print journal, the text is set in Borges, a classic humanist serif typeface designed by Pampa Type’s Alejandro Lo Celso and inspired by the writer’s fantastic stories. Each issue is produced following my stylesheets and in doing so new demands are placed on the design to accomodate, for instance, extended character sets not included in the original font. To solve this particular issue, I learnt how to edit a font and designed a handful of missing characters to match the typeface. Sample pages from Variaciones Borges 33, 2012. 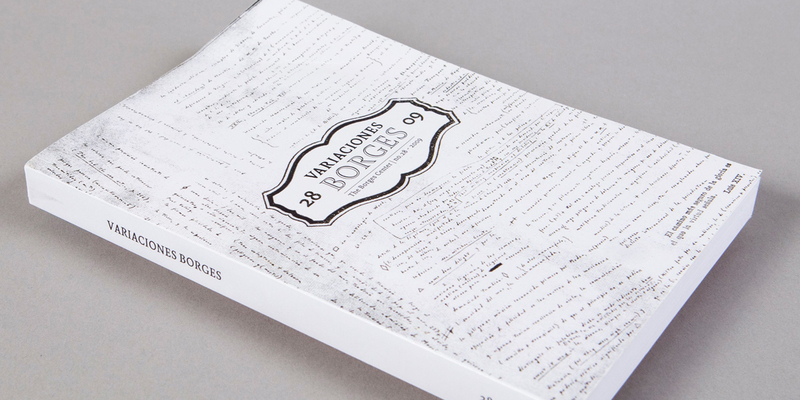 The ebook version of Variaciones Borges was set as reflowable xhtml text for ereaders such as iBooks and Kindle. The type was set following a double stranded modular scale using 16px and 20px base sizes and a golden section factor. Because ereader software flows text withing predetermined margins and allows users to adjust type size, the crucial relationships to be established in the book are set through vertical spacing and type sizes. A modular typographic scale set in ems sets a fluid system and helps establish and maintain a set of proportions as user adjust overall sizes. Because the EPUB format is a compressed set of files which contains the fonts (which can then be redistributed), and in order to avoid licencing conflicts, I chose a new typefaces for this version of the journal: PT Serif and PT Sans by ParaType. Both typefaces were released with a libre license and can be freely redistributed. A humanist sans and a transitional serif with humanist terminals, they were designed to work together and include a generous range of weights and optical sizes.